The annual Boston Tennis Club awards evening was held on Saturday night. The bash celebrates all the successes – team and individual - in the various leagues that the club runs or takes part in. During Saturday afternoon the Winter Club Championships concluded. Declan Dodes won the eight and unders whilst Billy Smith was the winner in both nine and 10 and under events. Owen Sims was the nine and under runner-up and Finley Houghton the 10 and under runner-up. The 14 and under event was won by James Gedney, with Noah Freeman the runner-up. The Open Mixed Singles saw Lucas East win the final against Michael Emery. The over 35 singles was between Mike Burnett and James Newton, Mike collecting the trophy. This tournament will return in September 2019 for club members. The well-established Millwood Summer Doubles League prizes were awarded to winners Terry Mastin and Paula Smith, plus runners-up David Dunlop and Diane Sharpe. 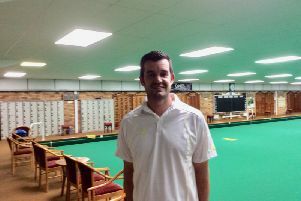 The Bombay Brasserie Daytime Singles League and the Bombay Brasserie Singles League were both won by Jeremy George-Jones. Chris Mepham was daytime runner-up and James Newton the singles runner-up. The most consistent player in the Daytime Singles League was Terry Mastin while Emma Mastin was the most consistent in the Singles League. Boston Tennis Club teams that won their Leagues in the Lincolnshire Autumn League were: 12 and under girls (Yasmin Everitt, Emily Stukins and Poppy Gibbons); 12 and under boys (Jacob Felipes, Finley Mackey, Will Pettitt and James Gedney); 16 and under boys (James Gedney, Tom Mecklenburgh, Tom Piggins, Seth Briggs-Williams, William Cheer and Hayden Bingham). Recognition was given to Junior County Championship winners from the club and Boston Tennis Club teams that finished top of their leagues in the Lincolnshire Mini Tennis Leagues and the Lincolnshire Team Tennis competition.